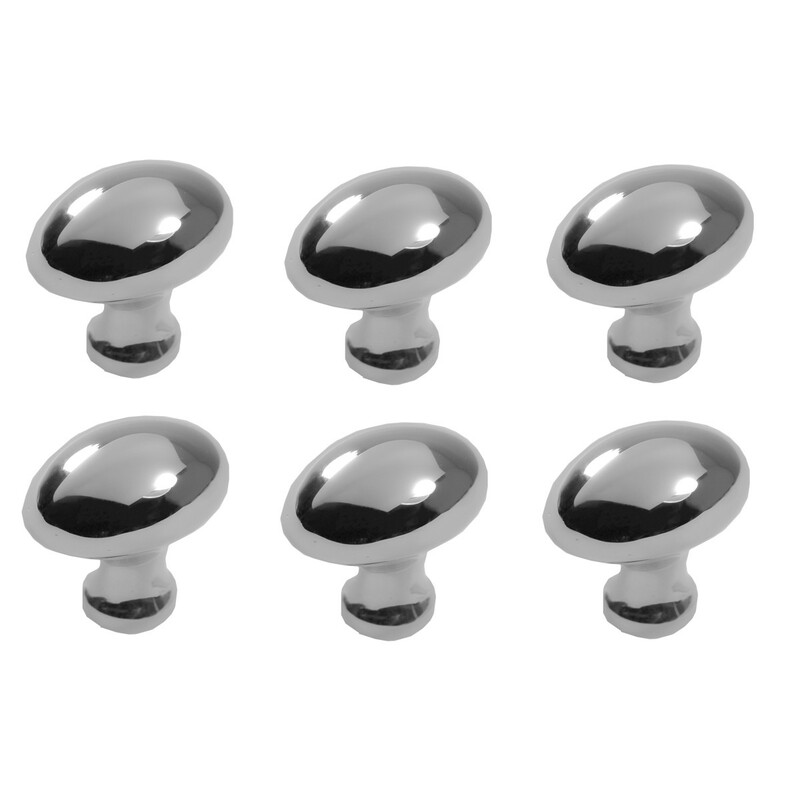 (6) pieces The oval shape of this chrome cabinet knob adds a classic feel to any cabinet or drawer. 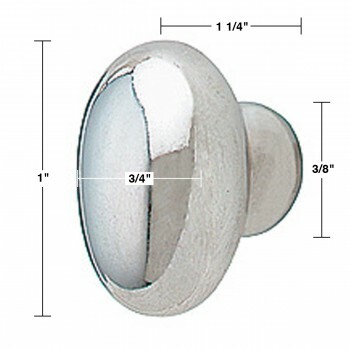 It measures 1 in. high by 3/4 in. wide with a 1-1/4 in. projection. Mounting hardware is included.